Making a grid photo collage is not only a means of preserving precious memories forever, but also an innovative way of creating delicate crafts. 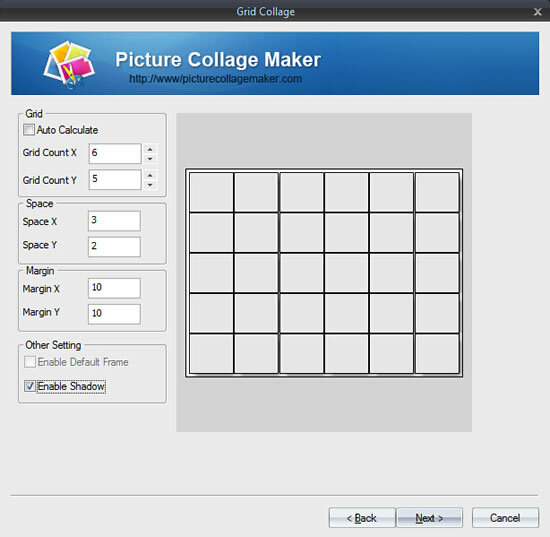 There are thousands of tools online aiming to help you make a marvelous grid picture collage. But which one is the simplest and best? Here you can find the right answer. 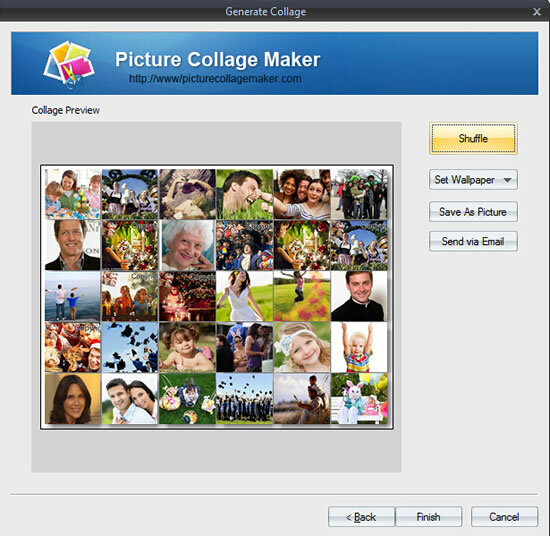 Picture Collage Maker Pro can be a top pick for you, which is different with any other collage programs. It can help you make a grid collage with the most effective and brief method of adding plenty of photos in a single step and keep your meaningful and wonderful moments a lasting. Now free download this easy and quick collage maker and follow the steps below to learn how to make a grid photo collage. 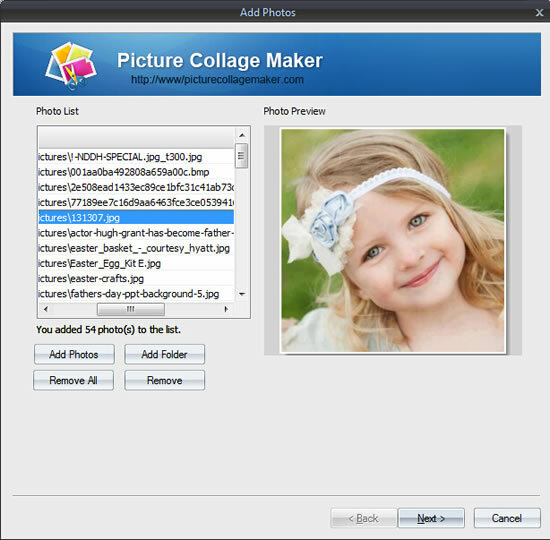 Open Picture Collage Maker and click Grid Collage Wizard to add photos at will. Click Add Photos or Add Folder to add all kinds of your favorite photos from your local disk to Photo List. You can respectively preview them in the Photo Preview part. Click Next after you have added all your favorite photos and then freely customize layout of your collage, including Grid count, Space and Margin. 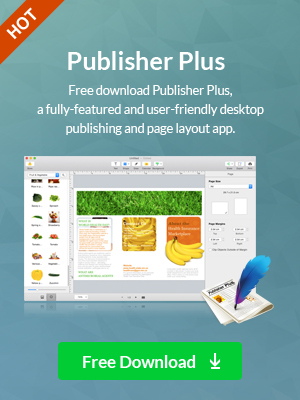 In addition, this software is also available for adding shadow in Other Settings at will. Once you have finished customizing collage layout, you can preview its effect in Collage Preview page and click Shuffle to get your last satisfaction. 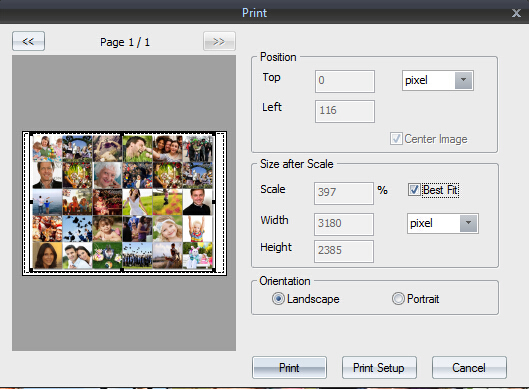 All the photos you select in the first step will fill in this page automatically. Here you can directly set your collage as wallpaper, save it as picture or send via email. Want to print your art work out? OK, just click Finish to return to the main page. Click File on the top of window and then click Print to directly print it out. Also, you can click Print Preview to see whether its final print effect is satisfactory or not. If necessary, free to resize or adjust its orientation according to your own preference. Can’t wait to make a personalized and meaningful grid collage for your loved ones? From these 4 simple steps mentioned above, you can easily learn how to make an eye-catching grid collage with Picture Collage Maker. What a nice memory! It must be a wonderful photo collage gift for your friends and they will love it very much and treasure it forever.